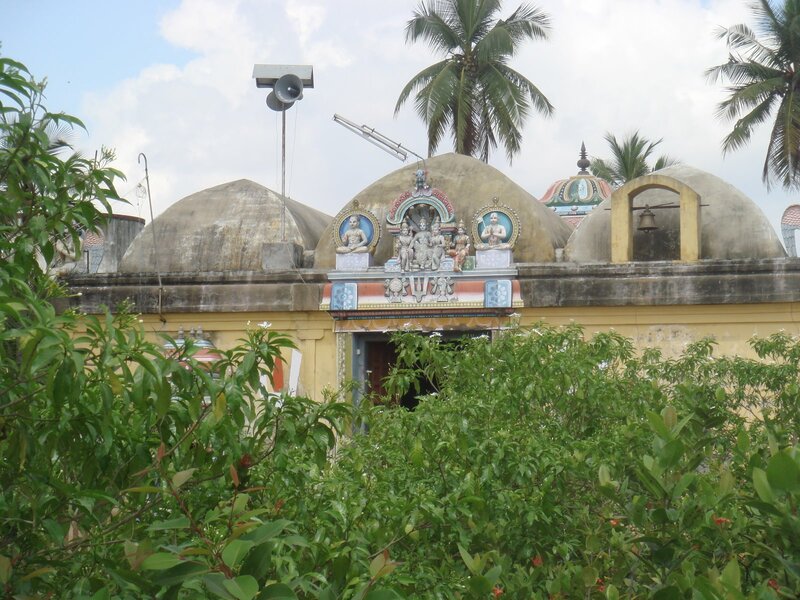 Located 100 yards North of Purushottamar Divya Desam, the Lord here at Vaikunta Vinnagaram is said to be the one who came from Vaikuntam to cool Shiva’s Rudra Thaandavam. Hence, he appears here in the same way as in Paramapatham. It is said that Ubarisavasu and Uthanga rishi attained Moksham after praying to this Lord. Saint Tirumangai Azhwar, a great blessed soul, a William Wordsworth of Tamilnadu blending nature and spirituality, had drowned himself in the scenic beauty of this Divyadesa place Lord Vishnu had chosen and in His enticing handsomeness and the great Avtars He took to establish dharma and protect His devotees. His Mangalasasanam hymn may be regarded as a nutshell summary of the divine experience of Sage Veda Vysa of His glory in his Srimad Bhagavatham considered a lamp of wisdom-Gnana Deepam. The temple and the place form part of the 108 celebrated Divya Desas of Lord Vishnu. This is a place where we could have the direct darshan of Lord in our life time on Earth itself before reaching Him after life. This is His Paramapada itself. King Swetakethu belonged to Ikshvagu dynasty which Lord Sri Rama chose for His incarnation. He loved every one and was a living example of honesty and integrity. He and his wife had a passion to visit Vaikunda to have the darshan of Lord Vishnu. As a king, he completed all his political duties and set ready for penance with his queen Damayanthi. They prepared fire around them, stood looking at the Sun and began a severe penance. Days passed. They shed their mortal coil and reached Vaikundam but could not find their Vaikunda Vasan. They stood sad. Maharshi came there. Swetaketu and Damayanthi fell at his feet and enquired him why they could not get the darshan of Lord. Narada replied that though they performed severe penance but failed to perform even small Homas and charities. That failure was the cause of this failure. The remedy was that they had to worship Lord Iravadeswarar on the banks of Cauvery on Earth and appeal to Him, who would help them to have Vaikunda darshan. Both prayed to Lord Iravadeswarar and begged his help for Perumal darshan. Lord Iravadeswarar appeared before them and said that He too was waiting for Perumal darshan and suggested that they could join him in penance. Meantime, Sage Udanga Maharshi also joined the in the penance. Thus four performed penance together. 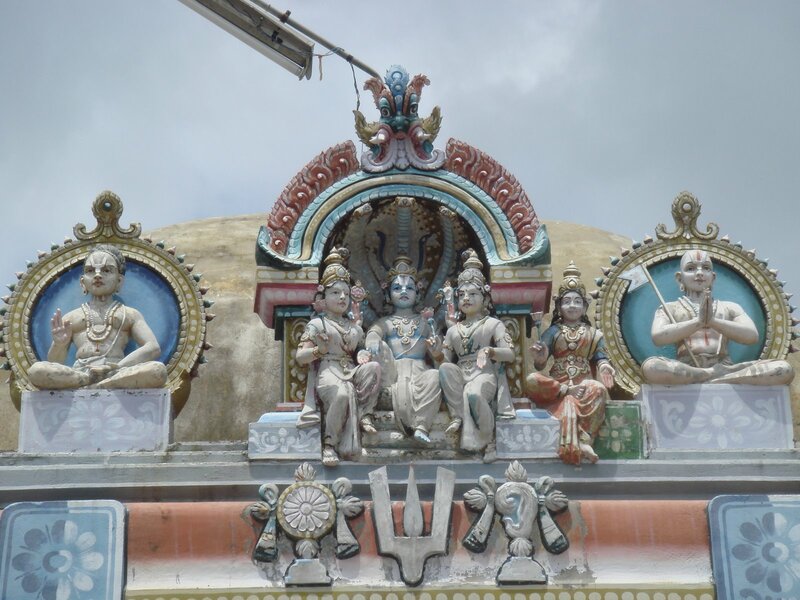 When Lord Vishnu appeared before them with Mothers Sridevi and Bhoodevi, Lord Iravadeswarar prayed that the place where the darshan was granted should be honoured as Vaikunda Vinnagaram and that He be worshipped as Vaikunda Nathar. Thus, Perumal came here as Lord Vaikunda Vasan to this place with Mother praised as Vaikundhavalli. Lord Perumal facing east blesses the devotee in a sitting posture. The Vimana above the sanctum sanctorum is called Ananda Satya Varthaga Vimanam. 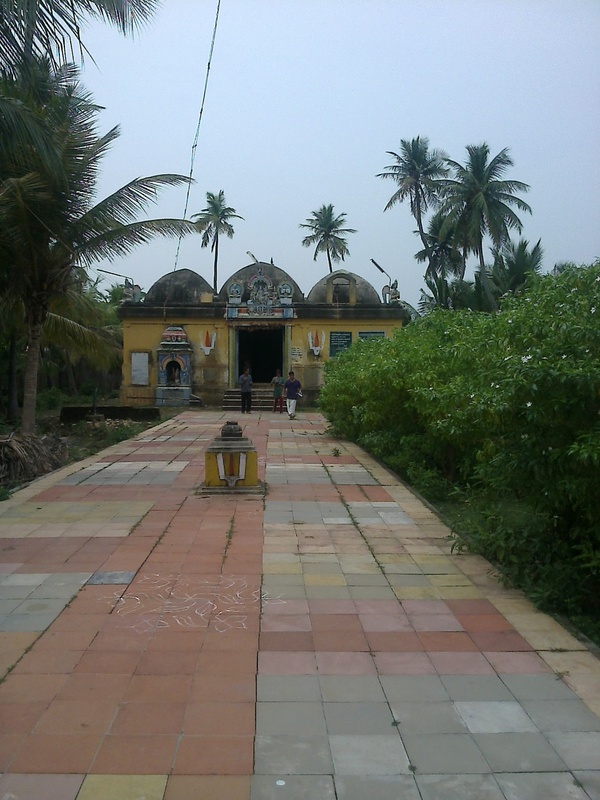 Sage Udhanga Maharshi and Upari Siravasu had the darshan of Perumal in this temple. 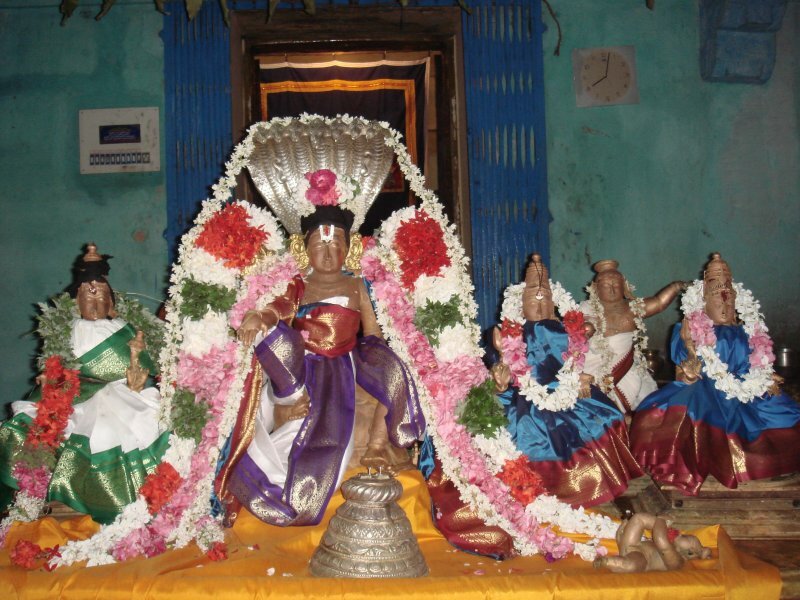 Devotees pray to Perumal for unity in family. Realizing their wishes, devotees perform Tirumanjanam to Lord and offer Tulsi garlands and Vastras. 07:00 am to 11:00 am ; 04:00 pm to 07:00 pm. Tirunangoor is 7 km south of Sirkali. Sirkali-Nagapattinam busses pass through Annankoil. Tirunangoor Vaikunda Vinnagaram is just a km from Annanankoil. Contact : 04364 266542 ; 04364 275478 or 94869 09166.